Kevin Spacey Apologizes To Anthony Rapp Over Alleged Sexual Misconduct : The Two-Way "I'm beyond horrified to hear his story. 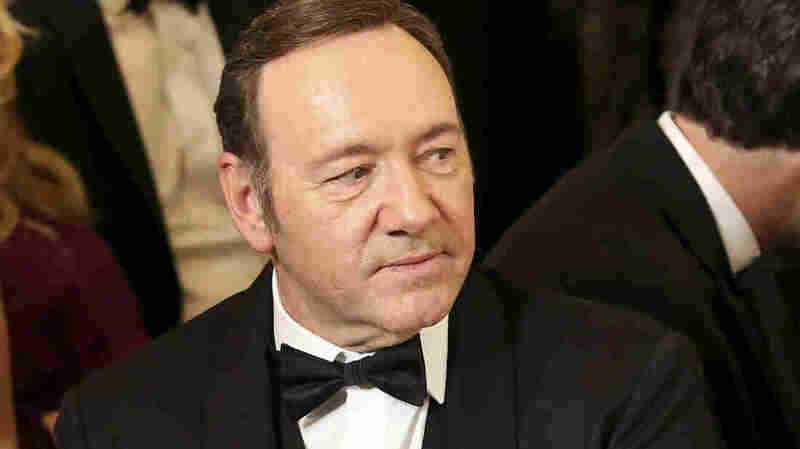 I honestly do not recall the encounter," Kevin Spacey said in response to allegations. "I'm beyond horrified to hear his story," Kevin Spacey says of fellow actor Anthony Rapp, who accused Spacey of making a physical sexual advance toward him when Rapp was 14 years old. Spacey has apologized; he also says he can't remember the incident. Spacey is also being criticized for using his statement of contrition as a platform for coming out as a gay man.